Happy Caturday everyone! And happy Labor Day weekend to my U.S. readers. I hope you all have fun plans for the weekend. I have a family party today and then maybe some tropical storm prep (Hermine is headed my way). 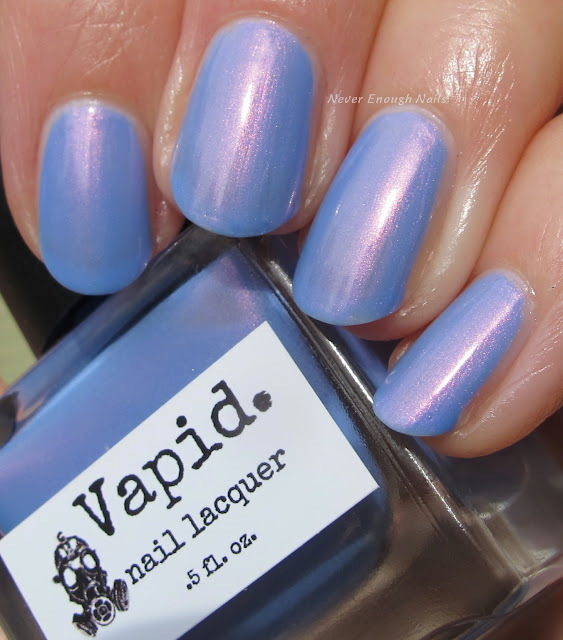 I finally got around to wearing Vapid Lacquer Wanderlust today and I am not sure why it took me so long to wear this beauty!! 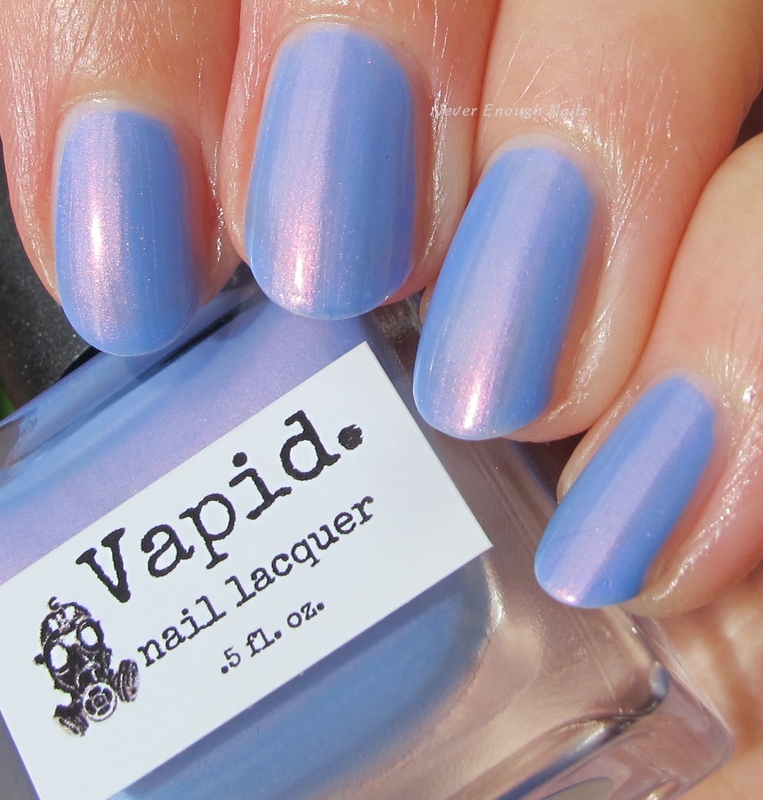 Wanderlust is a soft periwinkle with TONS of baby pink shimmer. This isn't like a hidden shimmer, this is a BAM IN YOUR FACE shimmer, just the way I like it!! 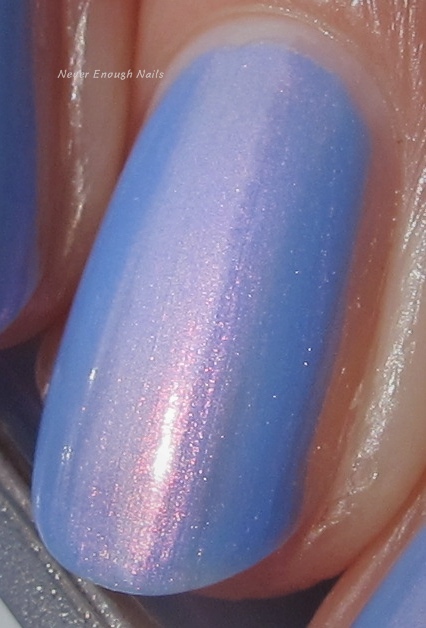 This is a truly unique nail polish in my stash of 2000+ polishes. On top of being stunning, Wanderlust is also very easy to apply and perfectly opaque in two coats! I read that some people thought this was a little brushstroke-y, but I don't really see that in person. I see it maybe a little in these pics, but to my naked eye, it looks nice and smooth. Plus I don't care because it's gorgeous. 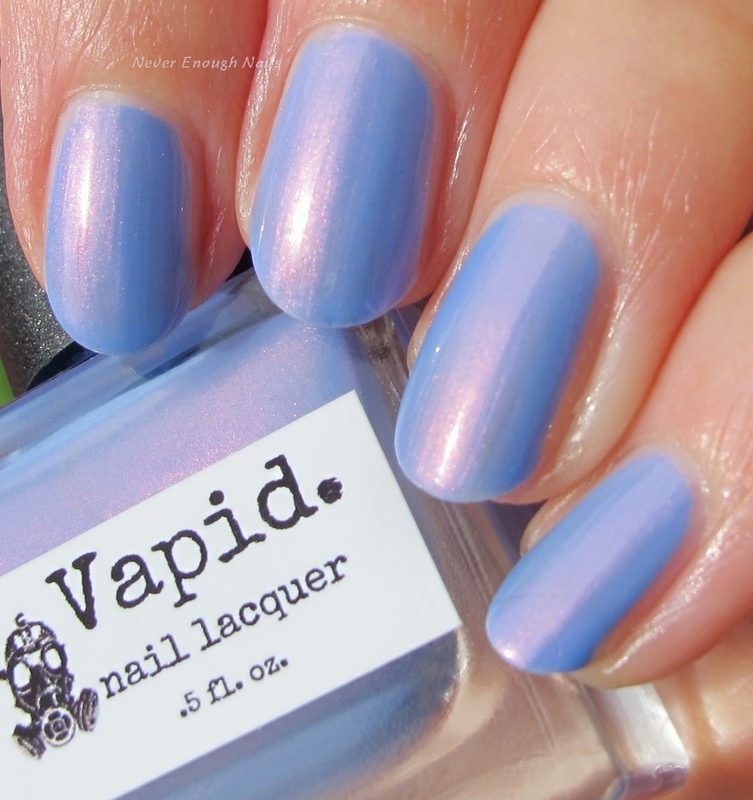 Vapid Lacquer Wanderlust isn't available right now on the Vapid site, but hopefully Krys will bring it back someday. If she does, I recommend that you pounce on this ASAP.